THE FIRST TIME IN 19 YEARS! Yes, the last female rapper to have a number 1 record with zero features was the iconic Lauren Hill back in 98'. So Cardi has definitely been putting in some money moves and we are so proud! So to celebrate the Queen that is Cardi B. we decided to come up with 5 facts about her that you may or may not already know ! Fact One: Her real name isn't Cardi B.
I mean, I'm sure you could have guessed that (and if you're a real fan you already.) But , her real name is one I doubt would ever come to mind. Born to a Trinidadian mother & a Dominican father , Belcalis Almanzar would soon be known to the world as Cardi B. 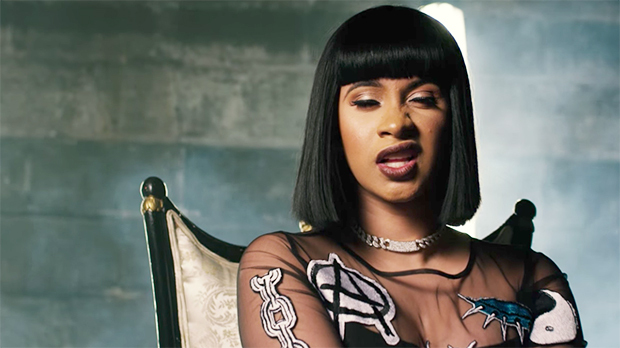 While most people's moniker comes from some sort of variation of their real name Cardi B is actually a spin on a childhood name of Bacardi , given to her because her sister's name is Hennessy. Clever. Fact Two: Those "bloody shoes" aren't just referencing Louboutins. Yup! Cardi B is a BLOOD. This Hip-hop Queen has never shied away from her affiliation with the Los Angeles bred gang — she publicly announced that she's been a member since she was 16. Traces of influence can be heard on her tracks 'Red Barz' and even now with the title of her coming EP ' Bloody Mary.' Regardless of your stance on gangs and gang affiliations, Cardi has always kept it real and. that's something anyone can admire. 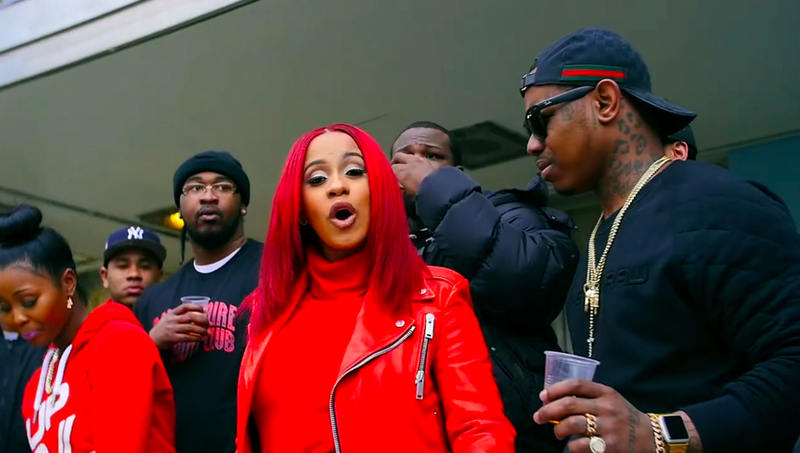 Staying true to her Caribbean roots, Cardi made her music debut alongside Dancehall's finest Shaggy and Popcaan doing a remix to "Boom Boom." Look at our girl being all versatile! Yaaasss. If Cardi B manages to take home all the BET awards that she's been nominated for, our girl will have her hands full! But hey, that's what she got two hands for, right? !